What's up people? The past month has been one of the busiest and best ever months at Feel It HQ. The Cowboys wrapped up a successful East coast tour over the weekend, and we managed to sell out of the entire first pressing of The Bottom of a Rotten Flower less than two weeks after its release date! Good news is that the second pressing of 300 will be here soon. Fried Egg had an incredible record release show on Saturday for our Square One LP - playing to nearly a hundred folks in a tiny living room! It was also the debut of our new lineup which will be touring the South & Midwest in May. I'll have Fried Egg tour info in next month's update. In the meantime, if you haven't already picked up a copy of the LP, we're down to the last twenty-odd copies of the first pressing (second press on the way in April). PROTRUDERS-Poison Future 12" now available for preorder! I just approved test presses for the vinyl debut from Montréal's PROTRUDERS. A killer slice of raw protopunk and arty, DIY guitar rock...major Electric Eels-sounding tuneage to my ears! We have this one slated for a 4/20 release date, with preorders expected to ship in early April. See below for a great description of the record from our pal Eddie Flowers of The Gizmos. 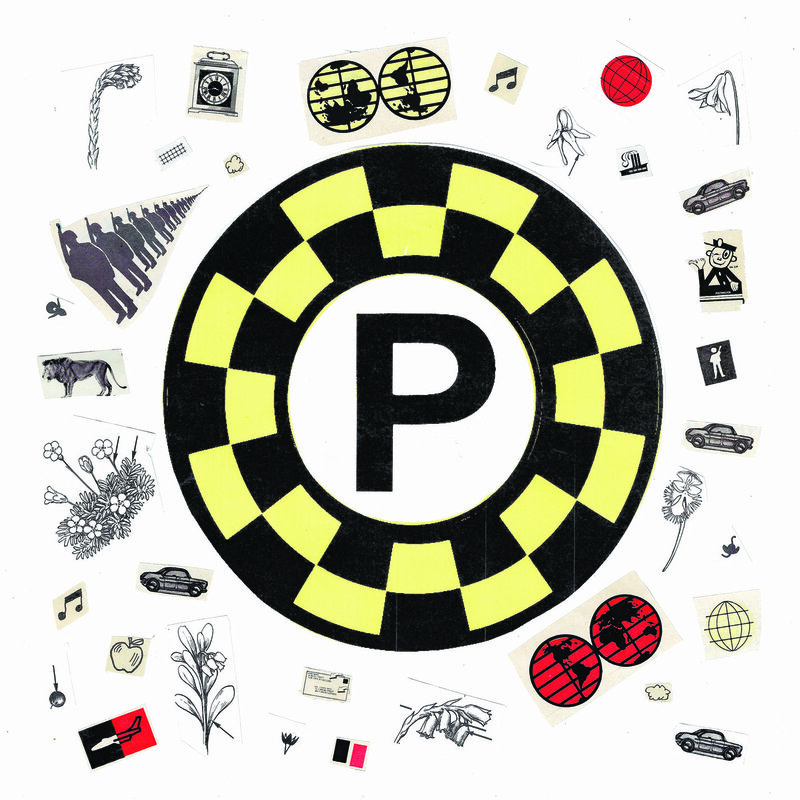 Preorder Opaque Yellow vinyl limited to 100 copies. Preorder Black vinyl first pressing of 400. 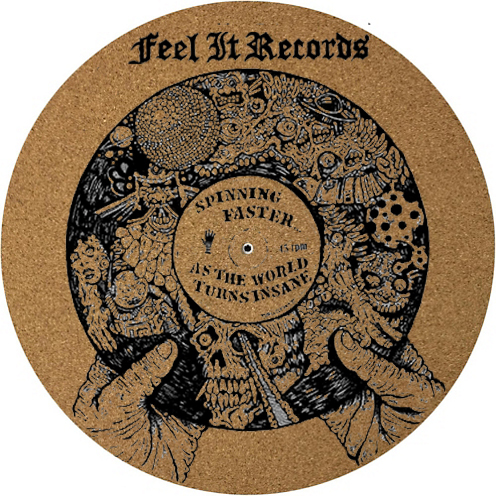 NEW Feel It t-shirts & slipmats for Spring! 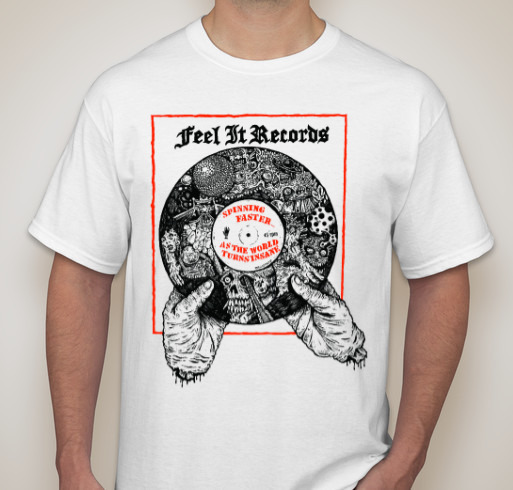 Spring is finally about here, and to celebrate t-shirt weather being in full swing, we are introducing a new Feel It Records shirt design. This time with artwork courtesy of Mr. Drugface of Man-Eaters/Tarantula/Culo fame! Two color print on white Gildan Heavy Cotton tees. We're also running this design on classy cork slipmats, which are also FREE with any retail order of $100 or more. Keep in mind the shirts and slipmats are being offered as preorders and will ship in April around the time of the Protruders record. And finally, some good news from CEMENT SHOES! We just finished recording and mixing an LP at Montrose Recording here in Richmond. Eight new songs, and I think we really knocked it outta the park on this one. Still lots of mastering and artwork stuff to do, but it's looking like this one will be out mid-summer. Catch da Shoes at this year's Horrible Fest in Cleveland, OH - May 23-26. See you (cl)assholes at the bar! 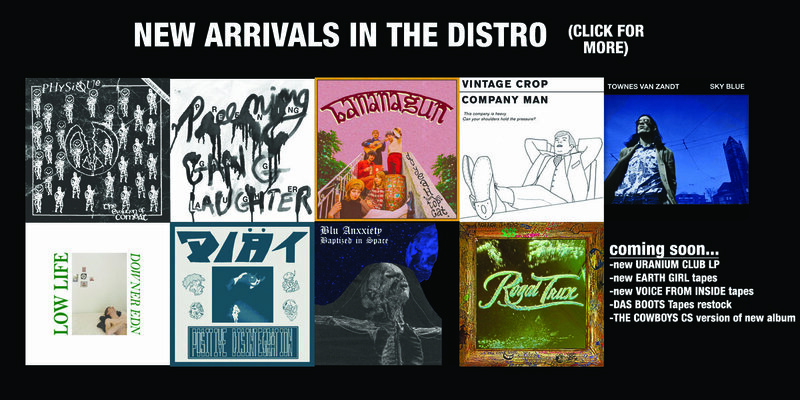 Heavy batch of new stuff in the NEW ARRIVALS section this month! My highest recommendation goes to the new LOW LIFE and DIÄT albums plus a few other killers like the HUNCHES demos LP, new WILD ROSE cassette, BANANAGUN 7", CHRONOPHAGE LP (final restock), new PHYSIQUE 12", TOWNES VAN ZANDT archival LP, and BLU ANXXIETY 7". 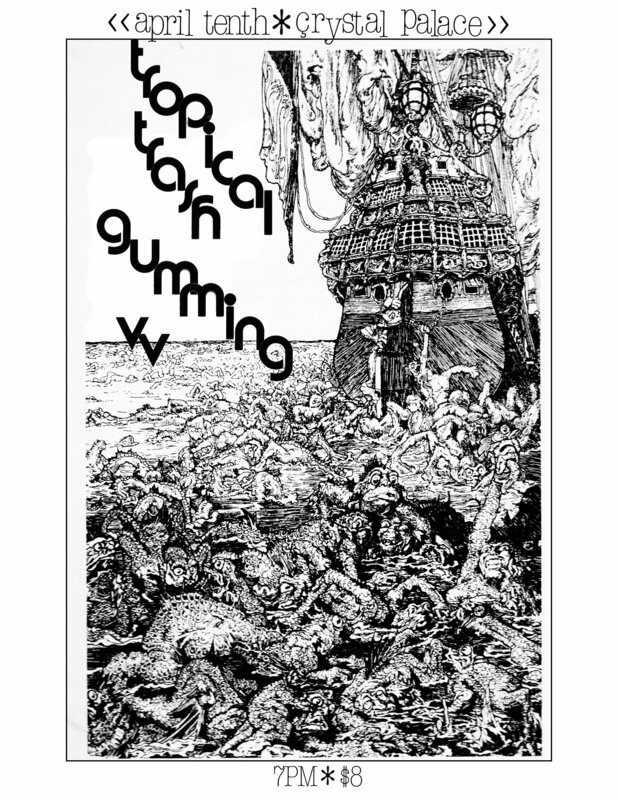 Plenty of other new and restocked goods from trusted labels like Iron Lung, Goner, Digital Regress, Fat Possum, Distort Reality, Anti-Fade, and Almost Ready. We should also have the new, highly anticipated URANIUM CLUB LP next week! 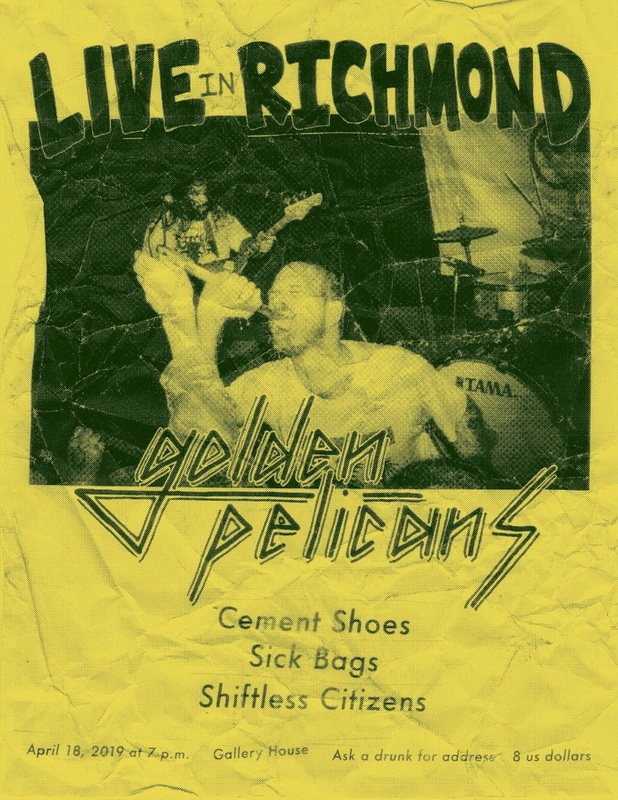 Just announced the next two Feel It presents...gigs in Richmond for April - with longtime buds TROPICAL TRASH and GOLDEN PELICANS coming thru town just a few days apart. C'mon out if you're in the area and drop me a message if you happen to need the address for either.